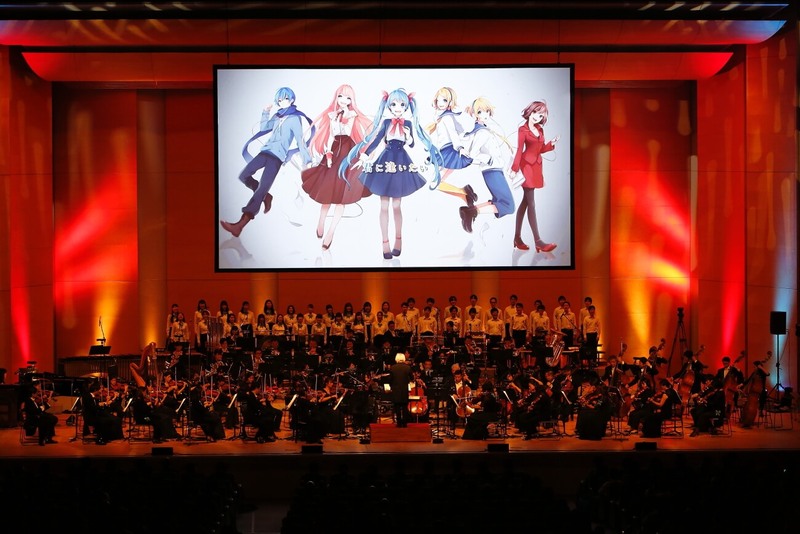 The full orchestral Vocaloid concert “Hatsune Miku Symphony 2017” was held in Tokyo on November 29th. 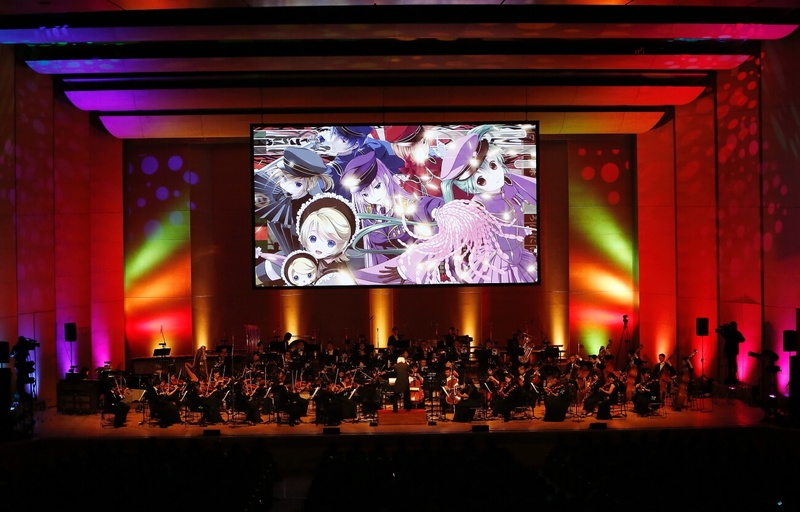 As fans waited eagerly in Hall A of the Tokyo International Forum, the first number to grace the venue was the official theme song of the symphony concert, “Mirai Jokyoku,” which turned into a full song last year. The creator responsible for this piece is none other than Mitchie M, an artist known for his expert skills in Vocaloid vocal tones. He breathes warm life into Miku’s vocals in Mirai Jokyoku together with lyrics that are littered with respect to the Vocaloid scene. 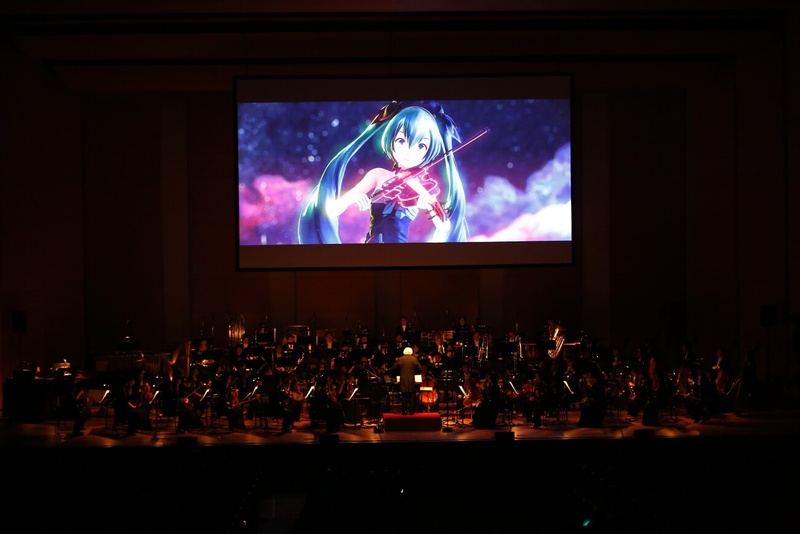 This was coupled with a performance by the Tokyo Philharmonic Orchestra who led the crowd into the world of Hatsune Miku Symphony. 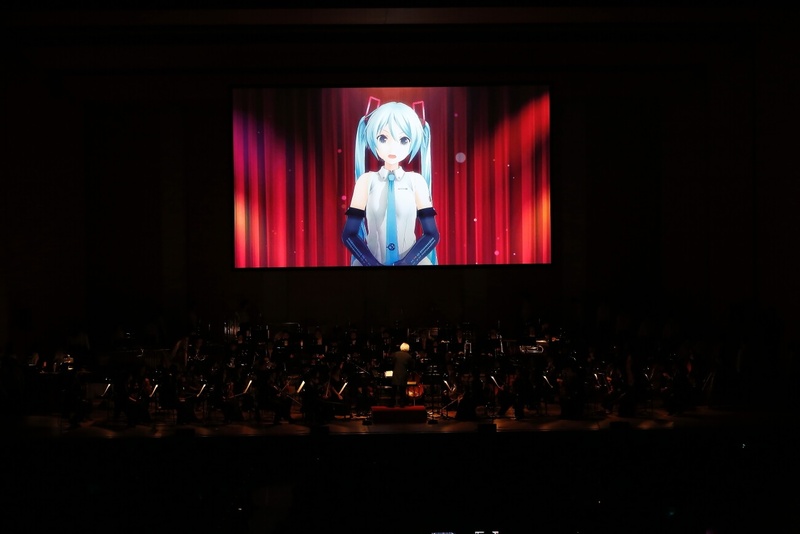 Hatsune Miku appeared on the stage’s big screen, drawing the curtains on the concert with a violin and singing performance. Her design was created by KEI who drew the dress as the main visual. The excitement from fans had been ongoing at this point, and that’s when Senbonzakura (Kurousa-P) began to play, a song that was well received the year before last. It’s a famous track that needs no introduction among Vocaloid fans – one that combines that Vocaloid edge together with traditional Japan – but its performance alongside a huge full orchestra had its own noticeable charm. 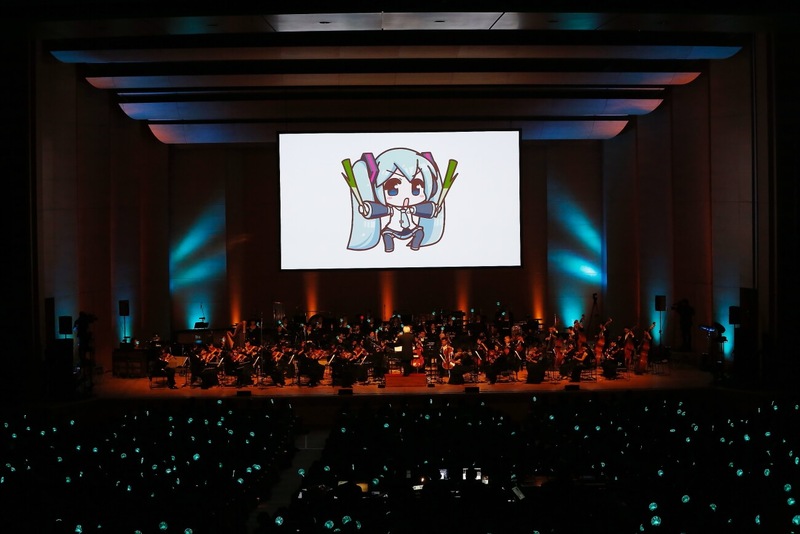 Hatsune Miku appeared once more on the big screen to give her heartfelt thanks for the past 10 years before introducing the orchestra and conductor, Hirofumi Kurita. The immersive atmosphere of the concert has been elevated this year by facilitating Hatsune Miku as the show’s main performer. The concert took things to the next level with The Disappearance of Hatsune Miku and subsequently The Intense Singing of Hatsune Miku (cosMo@Bousou-P). This was followed by a music melody from Kagamine Rin & Len who are also celebrating their 10th anniversary this year with Miku. They commemorated their anniversary year with Meltdown (iroha), Kokoro (Toruboruta), Daughter of Evil / Servant of Evil (mothy_Akuno-P), Lost One’s Weeping (Neru), Shikiori no Hane (Hitoshizuku-P × Yama△), and Fire◎Flower (halyosy). In the “SEGA Project DIVA” section of the concert, the hugely popular ODDS&ENDS and Melt by ryo (supercell) graced the room, followed by DECO*27’s mega hit Ghost Rule, before the show stopped for an interlude. Although the songs hit hard with their sharp edge, the stage was a tour de force in echoing the round harmonies in everybody’s heart. Following the interlude was a melody of songs arranged in a cute fashion, including Miku Miku ni Shite Ageru [Shite Yan Yo] (ika), Ievan Polkka, Nyan Cat (daniwellP), and Koneko no Paya Paya (Onecup-P). 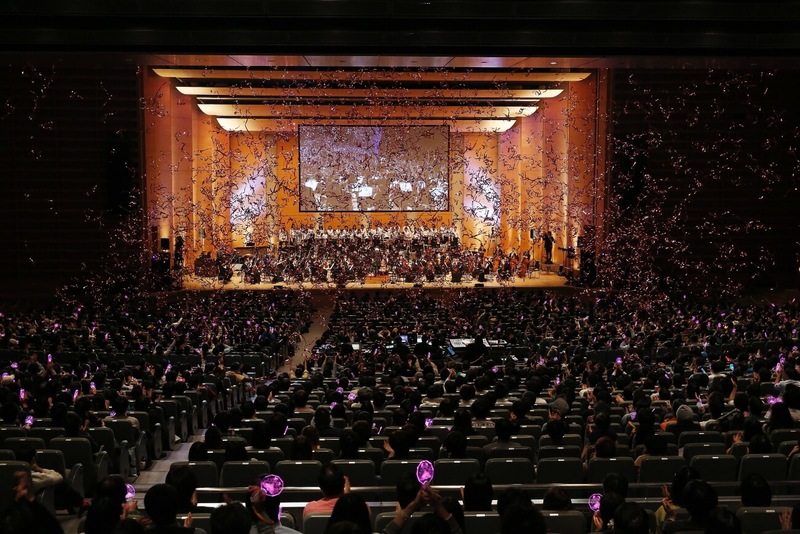 Fans waved their penlights in the air and laughed contagiously, a harmonious scene one would not see at an ordinary orchestra concert. 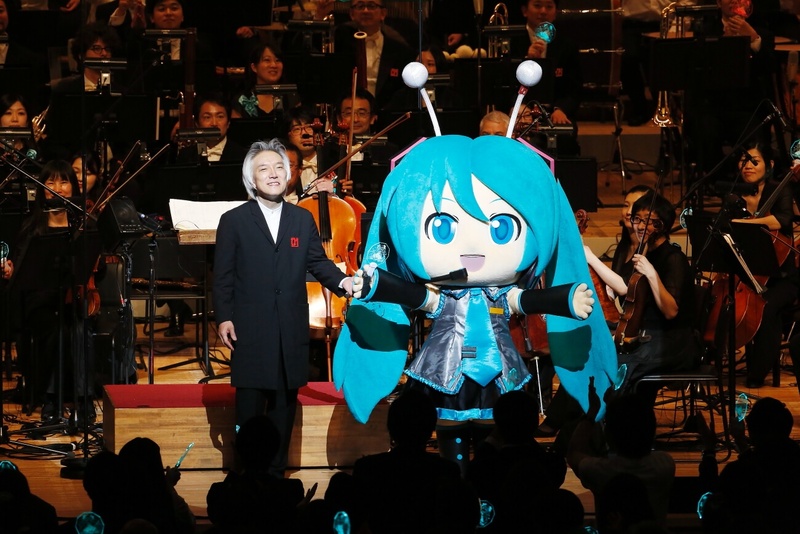 Mikudayo, the beloved official character for “Hatsune Miku and Future Stars Project Mirai,” even made a surprise appearance, saying “NayutalieN here. I’m borrowing Mikudayo’s body today.” He began with the “Vocaloid Producer Pick Up Corner” which couldn’t be held at last year’s Tokyo performance. NayutalieN’s catchy digital rock at first seemed light years apart from the orchestra, but the songs were arranged spectacularly to keep people on edge. 4 of his songs were performed – Andromeda Andromeda, Dance Robot Dance, Rivers Universe, and Alien Alien. The symphonic host Hatsune Miku appeared on the big to give her thanks once more for her 10th anniversary. This was followed by a performance of Uta ni Katachi wa Nai Keredo (doriko), a song that has continued to be loved by the community since the dawn of the Vocaloid culture. The warm and heart touching lyrics most definitely flowed in the crowd’s chests. The next song was Connecting (halyosy) before moving onto the final two songs, Smiling and Blessing. The cheers and rounds of applause did not let up once as the concert moved into its encore section, with Deadball-P making an appearance on stage, one of the most popular Vocaloid producers. He played rock-paper-scissors on stage with Miku which made the crowd laugh. The songs Nugeba Iitte Mon Janai!, Po Pi Po, and Luka Luka Night Fever were performed to huge rounds of applause and smiles throughout the crowd. Concluding the concert was fan favourite Hajite Oto (malo), a defining song of the Vocaloid culture and message song to fans from Miku, and Sakura no Ame, the classic ‘graduation’ song. 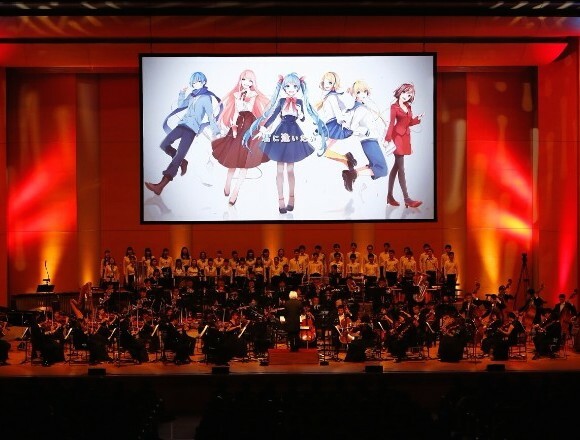 The stage received a standing ovation as fans in the crowd had the unbelievable chance to experience some of the most famous Vocaloid songs by one of Japan’s greatest orchestras, who are even releasing the sheet music for said songs. The crowd was filled with men and women, boys and girls of all ages, all smiling together as one. This celebratory concert for Miku, Rin and Len’s 10th anniversary defined and captured what the Vocaloid creators have been able to produce over the years, proving that the community is not tied down by age, creator, listener or genre, but that it ties people together. The concert will be released on both Blu-ray and CD, so if you’re a Vocaloid fan, this is one you won’t want to miss. In recent news, it’s been announced that the main visual for Hatsune Miku Symphony 2017 will be released as a scale figure from Good Smile Company! Be sure to keep up to date with the latest news on Hatsune Miku and what she has planned next.